The Oklahoma City Zoo has an adorable new addition. “Puddles,” is a fisher cat and as cute as can be. 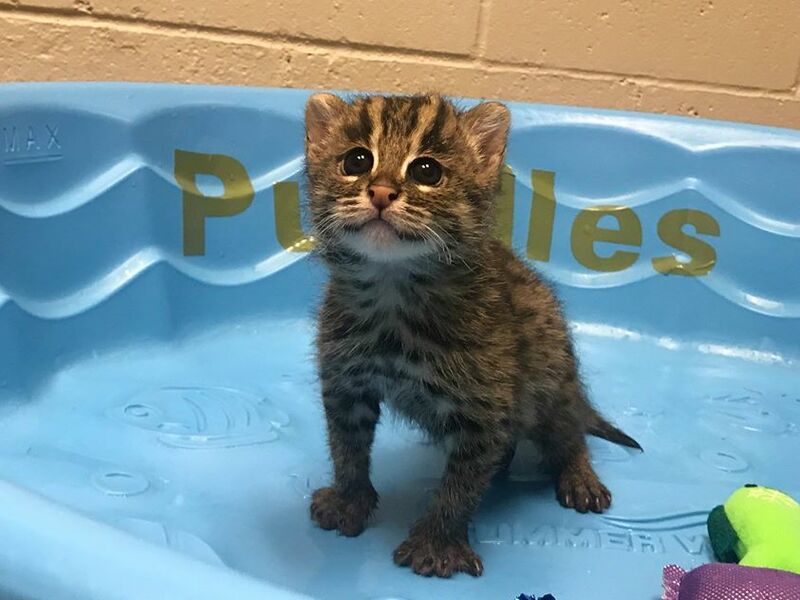 If you haven’t heard the news, our fishing cat kitten’s name is Puddles! Look out for more updates about him on social media in the coming weeks. And, don’t miss his first wellness exam, happening Monday, May 14 at 10:30 a.m. at the Zoo’s Joan Kirkpatrick Animal Hospital. To read his miraculous story, visit http://bit.ly/fishingcatkitten! And check out his first introduction to water! Follow Puddles on the OKC Zoo Facebook Page!